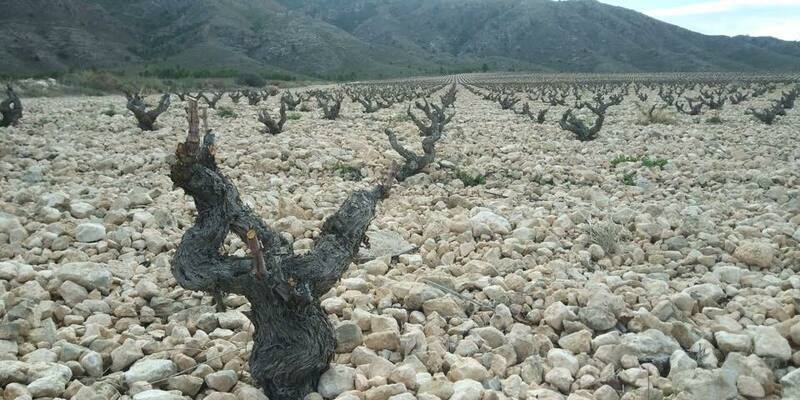 There is little rain and lots of sun on the sandy soils of Jumilla, so organic viticulture is a little easier there than elsewhere. Bodegas Luzón makes this luscious Monastrell there, and we dig it. Monastrell, also known as Mourvèdre in France, Mataro in California and Cyprus and Australia, and Muristellu in Sardinia, is a grape that has been kicking around the Mediterranean for a few millennia. The vines like warm, dry climates and produce small, thick-skinned berries – the textbook combination for making wines with intense color and high tannin levels. This hand-harvested Monastrell, however, keeps its tannins in check, simply giving a velvety platform for the considerable fruit this wine delivers. The Luzón vineyards are located in south-eastern Spain, in the north of the Murcia province, on a high plateau surrounded by mountains. More than 600 meters above sea level. We love this wine with deeply-flavored stews, charcuterie, or any other wintry meal.